Under the sponsorship of the Michigan City Public Library and the LaPorte County CETA Special Projects program in the 1970’s, a collection of over 6000 historical photographs were copied onto 35mm slides. The informational booklet, Portable LaPorte County, was also compiled as part of the project. The slides are housed in the Reference Department and are available for viewing. Interested in images depicting or about a specific topic? Search for slides using the form below! Please note: the slide images are not yet available online. To view the images, please contact us at 219-873-3044 or refdesk@mclib.org. DPLA connects people to the riches held within America’s libraries, archives, museums, and other cultural heritage institutions. Many items related to Michigan City, LaPorte County, and Indiana history are available in the collections. All of the materials found through DPLA—photographs, books, maps, news footage, oral histories, personal letters, museum objects, artwork, government documents, and so much more—are free and immediately available in digital format. 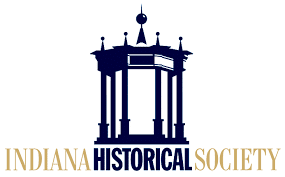 More than 70,000 digital images are available for research on the Indiana Historical Society website, with more added every week. The Preservation Imaging Lab scans materials covering a variety of subjects and formats. These digital images constitute only a small percentage of the more than 1.7 million photographs in the IHS collection. A free digital library of Indiana’s unique cultural and historical heritage, including digitized books, manuscripts, photographs, newspapers, maps, and other media. 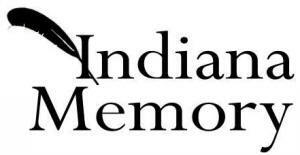 Created through a collaboration of Indiana libraries, museums, and cultural organizations. A place for people to share photos and stories, telling the histories of their local communities. Includes many of Michigan City Public Library’s historic images. More than five million historical images, books, exhibits and more from the Library of Congress.